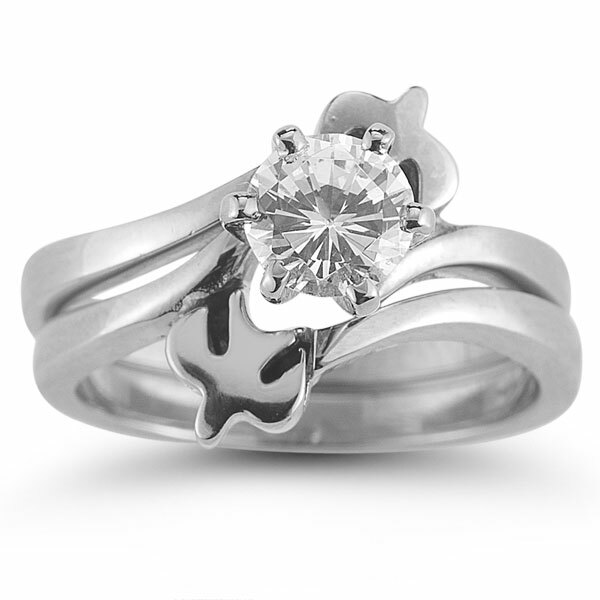 Capture the joy of marriage and the joy of faith in one gorgeous ring set. 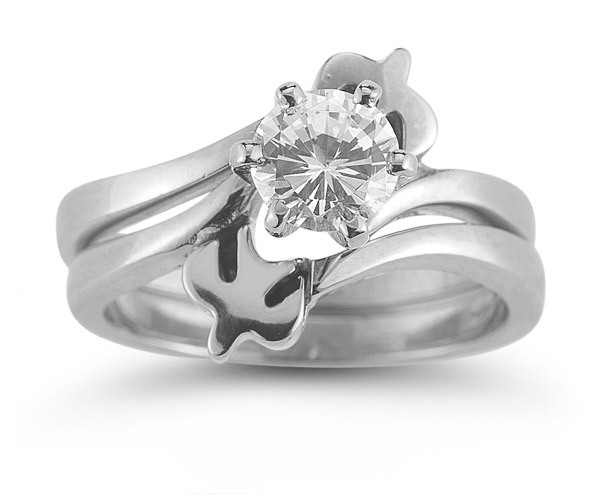 The Holy Spirit Dove Engagement Ring Set makes it happen with the two beautiful white doves accenting the ring. These charming birds offer a pious take on an engagement ring, while the beautiful white topaz stone that sits in the center offers a glamorous side to the set. 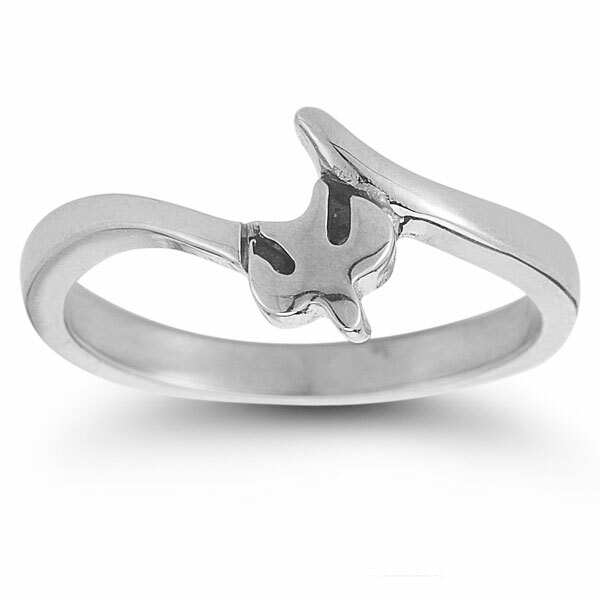 The ring set is crafted of bright sterling silver for a lasting impression of beauty. 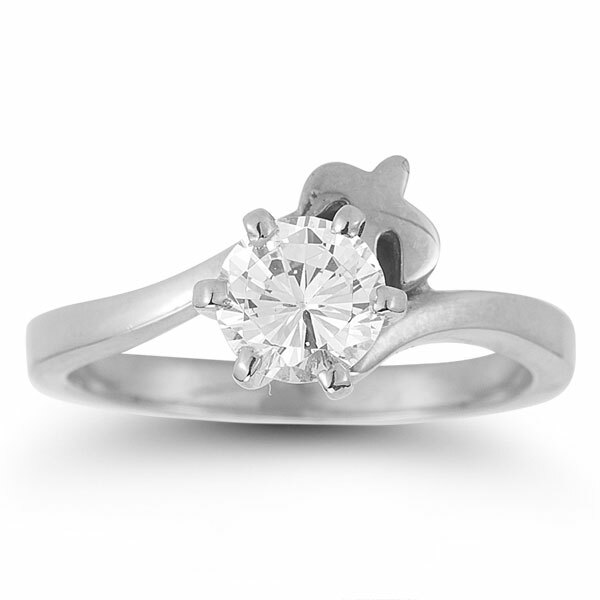 We guarantee our Holy Spirit Dove White Topaz Engagement Ring Set, Sterling Silver to be high quality, authentic jewelry, as described above.